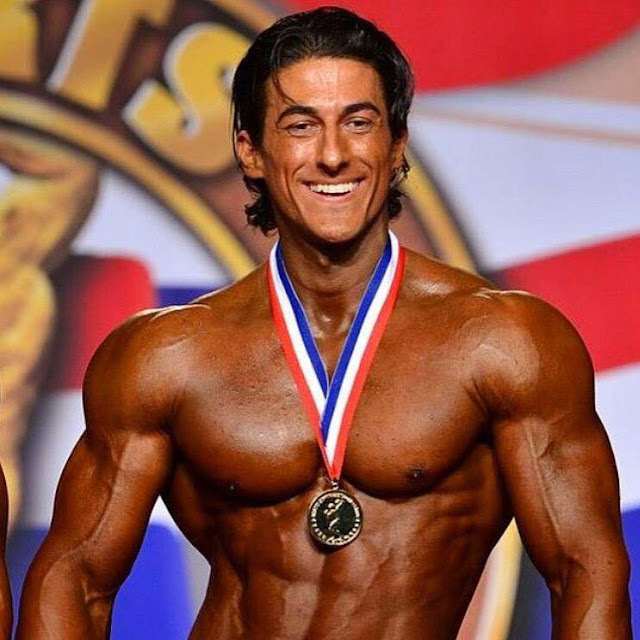 Sadik Hadzovic is the Fitness model and IFBB Men's Physique Pro. Sadik and his family found refuge in the United States escaping the war-torn Yugoslavia. Sadik’s inspiration, drive and work ethic is the product of his no-nonsense upbringing. Weight training was quickly picked up at an early age and has stuck with him his entire life. This has given him the confidence he needed to be successful in all areas of his life including being a top model in the fitness industry. He has been published in countless books and magazines, been the star of international jean and underwear campaigns, and even featured on multiple billboards. Still not content Sadik has recently channeled his energy in competing against some of the world's best physiques in the NPC Men's Physique division. His goal is to help others realize the importance of exercising and adopting a healthy lifestyle. These actions will breed energy and courage and help meet with success the more difficult tasks of life which will ultimately result in true contentment and enjoyment of life. Here are the official workout videos of Sadik Hadzovic.